Random number photo 3596. 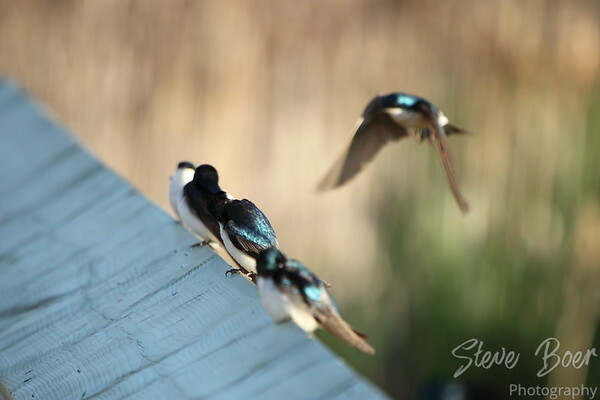 A group of tree swallows about to be joined by another. this brings back great memories-love watching the swallows.